Brisbane’s food and dining scene is growing day by day, and we’re helping fuel the revolution by connecting you to some of the city’s best private chefs. We know the city’s restaurant scene is competitive, and that’s why we’ve made sure our team of Brisbane chefs are impressive, skilled, and at the top of their game. 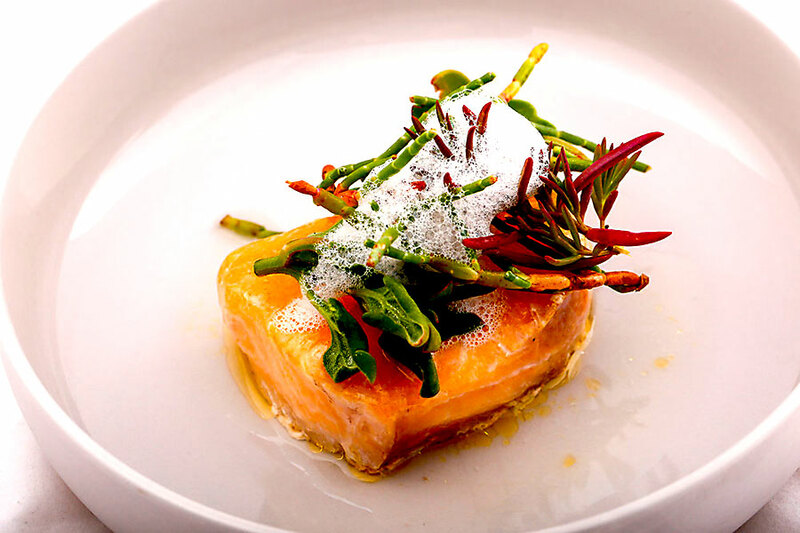 Our criteria for choosing our Brissy chefs is simple: They have to be obsessed with good food. They’ve gotta be creative, passionate, and driven to constantly develop new food concepts and ideas. And they have to be keeping tabs on everything to do with food in Brissy, from new restaurant openings to sourcing new and obscure ingredients. Our Brisbane chefs are here to engage your senses, show you a unique experience, and leave a mark on your memory. They won’t be hiding in the kitchen. Why’s that? Because we think it’s time that Brisbane’s best chefs came out of the kitchen and into the spotlight. Chefs deserve to be at the forefront of the dining experience, showing off their foods and interacting with diners. Brissy, we know you’re a city with high standards, and that’s why we’ve picked only the cream of the crop to join our private chef team. Each of our Brisbane chefs has been selected for their individual skills, talents, and culinary wizardry. In fact, they’re not just chefs – they’re artists. Our Brisbane chefs have experience working at top restaurants from all over the world and bring international culinary skill and technique to Brisbane. They know the ins and outs of this city, they know the food that Queenslanders love, and how people like to dine in Brisbane. They know where to get the best produce in the city, source premium ingredients, and even how to forage for native ingredients in the wild. There’s no culinary request or challenge that our private chefs can’t handle! If you’ve ever dreamed of designing your own feast (and having someone else cook it) here’s your chance. Each of our Brisbane private chefs has their own unique twist on cooking and will deliver a one-of-a-kind experience that you won’t find anywhere else in the city. We’re all about making dining more interactive here at CHEFIN, and that extends to choosing your own chef! Why stop at just choosing the menu? We think it’s impossible to enjoy a fully authentic and social dining experience without the chef, and that’s why we’re reintroducing them as part of the experience. Chefs are the force behind the food, the genius behind the flavours, and they should be out there interacting with diners! You’ll get more than just a private chef when you book with CHEFIN. You’ll get a unique atmosphere with the chef cooking away in the background, you’ll get to learn about all the ingredients used and the history of your dishes, you’ll get to enjoy the social aspect of dining, and you’ll get one fabulous host. Yep, your private chef will host your meal, meaning you can offload your own hosting duties! Have a flick through our Brisbane chefs’ bios to get a good understanding of each of our chefs’ individual personalities and skill sets. With such a diverse and different team, there’s a chef out there for every taste and foodie. 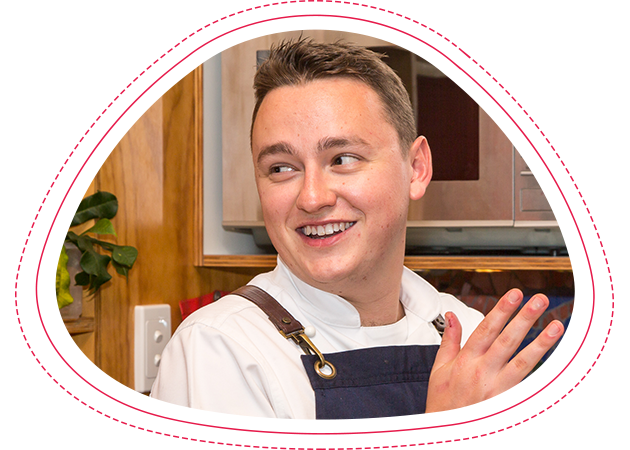 He started his cheffing career learning traditional Hungarian foods from his grandma, and now Chris is nationally recognised for his simplistic, produce-focused cuisine that’s packed with flavour. No fancy bits & bobs or confusion of the palate. Just quality food and flavours. If you’re a serious foodie who gets excited at the thought of obscure ingredients, unique dishes, and sustainable produce, then Chris will give you lots to boast about. Chris owns a widely successful pop-up restaurant in Brisbane, Black Ox, which is renowned for their degustations and ever-developing tasting menu. Basically, Chris’ dishes are fine dining without the pretension. A classically trained chef who’s worked in Europe’s finest restaurants and hotels, Ian is used to catering to refined palates. As skilled as he is with cooking, Ian does it for the love of sharing good food and delivers impeccable, world-class dishes without all the stuffiness. If you’re looking for a meal that’s prepared with exquisite technique, attention-to-detail, and lots of love, then Ian will deliver just that. Was part of kitchen brigade to obtained one Michelin star and cooking personally for Marco Pierre White. Ian loves being creative, working with other chefs to come up with meals together to get a great result for the consumer. All his dishes are fresh, simple, and healthy, prepared to the highest standards with lots of love & passion. His favourite dish is Scallops w/ Braised Oxtail, Parsnips & Apple. Of course you did! If you’re ready to experience Brisbane’s best dining experiences, you can make a private chef booking request here. Your personal chef can cook your meal on-site, no matter where you are. Home, park, office, or party venue, we’ll come to you ready to cook up a storm. Our chefs are available for any and all catering and chefing experiences. Home chefs, restaurant chefs, corporate chefs, event chefs, last minute chefs, and everything in-between. You ask and we deliver! Not sure which of our Brisbane private chefs is best suited for your job? No problem! Get in touch with one of our friendly CHEFIN team members and we’ll listen to your ideas and what you’re after. Then we’ll match you with the best personal chef for the job, to deliver exactly what you’re after.